There are a lot of financial facts to keep track of – here’s our handy sheet with the important amounts and dates to help you manage your finances. Don’t miss these dates to get the most from your registered accounts and to avoid penalties. Add your provincial marginal tax rates to get your combined tax rate. RRSP or TFSA and help your nest egg grow. Your contribution limit is 18% of last year’s earned income (2018), to a maximum annual limit ($26,500). This limit is reduced by any pension adjustments for the year. Check your Notice of Assessment from Canada Revenue Agency for your own limit. These taxes will be withheld at source from funds withdrawn from your RRSP, and from withdrawal amounts above your RRIF minimums. CPP provides contributors and their families with partial replacement of earnings in the case of retirement, disability or death. 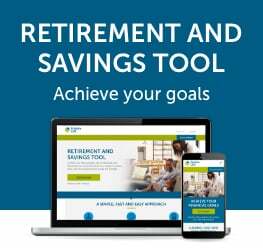 You have to apply for the CPP retirement benefit – it doesn’t start automatically. It’s important to watch your annual income, as the OAS recovery tax starts at $77,580 of net income. In addition to the OAS pension, low income Canadians may be eligible for GIS. Starting December 2017, eligible seniors are automatically enrolled. Talk to your advisor for more advice and information on managing your finances. This is the minimum you must withdraw every year from your RRIF/LIF (% of the market value). * For illustration purposes only. Assumes monthly contributions made at the beginning of the period and compound annual returns. ** As of October 2018.